Mike Aquino was born in Davao City in the Philippines and now lives in Manila full-time. He's covered Southeast Asia for Tripsavvy since 2007. He holds a Bachelor of Arts from Ateneo de Manila in the Philippines. 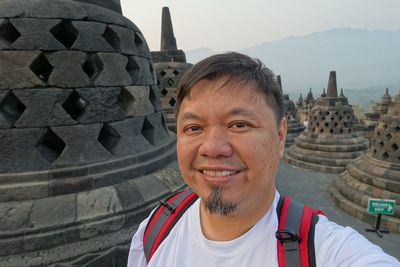 An advertising copywriter in a previously, Mike has worked for ad agencies throughout Kuala Lumpur, Singapore, and Manila, writing advertising and magazine copy for hotels, restaurants, and travel publications, and imbibing the local culture at the grass-roots level along the way. His travels have brought him across the Southeast Asian region, gorging on tom yum at Singaporean hawker centers, snorkeling with tropical fish in Boracay, and ascending the Petronas Towers, with more jaunts planned in the very near future. Today, Mike files stories for Tripsavvy.com, a role he's happily filled since 2007. He also writes features for inflight magazines for Cebu Pacific and other online publications like AseanTourism.travel. Mike holds a Bachelor of Arts in Communication from Ateneo de Manila in the Philippines. Mike was honored as the World Street Food Congress 2013's Street Food Blogger/Writer of the Year. The award recognizes writers who "deliver deep vision and insightful aspects of this food culture that attracts curiosity and is informative for the general public at large."